Any type of cancer screening is equally important for our lives and no one should neglect oral cancer screening. One of the main advantages of such examinations is that you can get them every time you see your dentist twice a year. The procedure doesn’t take long, is completely non-invasive and generates reliable results to start from. Moreover, if caught early, oral cancer has over 80% rates of survival and recovery, so why shouldn’t you benefit of our oral cancer screening Lauderdale by the Sea FL services since you already visit us regularly for dental check-up and treatments? Let’s see a few things you should know about this particular intervention. 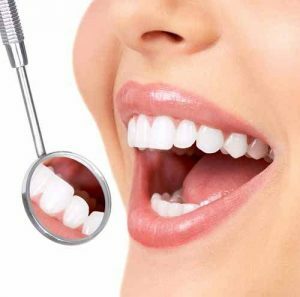 Besides this clinical examination, your doctor will perform another thorough analysis with the help of a hi-tech device (a lamp) that shines light on some mouth or gums lesions, lacerations, fissures, ulcers, and so on that are not visible with the naked eye. These lamps are highly performing and they generate results in a matter of minutes. If there are some lesions, ulcerations, abnormal pigmentations, white patches, keratinized tissue, and other problems, your doctor will recommend you a biopsy in most cases. Besides oral cancer screening Lauderdale by the Sea FL services, we also offer a full range of dental treatments and surgeries. If you are off the hook regarding oral cancer, your doctor will treat your particular dental problem right here in our office, as we cover all services under one roof. We use the latest equipment, techniques, materials, and procedures so we can offer you hi-tech, efficient, and reliable screening and treatments. Our doctors have nearly 60 years of combined clinical expertise and they undergo continuous practice and education. They are experts in their field and they will do everything in their power to meet and exceed your expectations when it comes to your image of an ideal treatment. Besides enjoying the friendly and positive atmosphere in our office, you will also enjoy our oral cancer screening Lauderdale by the Sea FL specialists’ creative ways of making all your treatments affordable and easy to access.